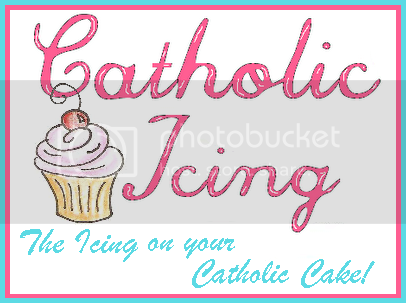 Classically eclectic Catholic homeschooling mom x 3, bookaholic, entrepreneur, over achiever, zookeeper & wife of 17 years. When I first started writing this blog I used to occasionally do a post on Thursdays called Thankful Thursdays. I haven't done one in quite some time, but I really felt the need to do so today. I have so much to be thankful for right now. Back in July, I took all of the kids with me to get an eye exam. Being homeschoolers, we don't get the regular routine exams that they do in school each year. The only type of exam they had ever had was at the pediatrician's office. Well, it was at this appointment that we discovered that Ryan had some sort of problem with his vision. Since that time we've been to two specialists including a pediatric neurologist, and yesterday a pediatric opthamologist. We finally have an answer! Ryan has a condition called amblyopia. His eye sight in his right eye is so bad he's just about legally blind in it. Apparently, the eye wasn't correctly alligned and it caused his vision to be doubled. His brain compensated by only using the good eye thereby causing the bad eye's muscle's and nerves in his brain to atrophy. We're not sure how long he's had this problem, but from the extent of the damage, it may have been since birth. The sad thing is that we never knew. If it had been caught when he was 2 or 3 it would have been easily corrected and most likely would have resulted in a complete recovery. However, because he's 7 now, they're not sure if it will improve. Apparently, the small window of possible recovery closes at 8 to 9 years old. His recovery (if he has any) will be longer and more difficult because of his age. So...how does his eye recover you ask? He has to wear a patch over his good eye for 12 hours every day. Needless to say that he hates it! He cried and cried, and literally begged me for hours to let him take it off. It just breaks my heart to be mean and say no. But, its the only hope he has of recovery. We've also ordered glasses for him to protect his eyes, and he has a patch that fits over the lens to block out sight in that eye completely. Hopefully he'll like that better than the patch. The idea is that by blocking out the good eye, his bad eye will be forced to strengthen, and the nerves will come back to life. That's the plan, but we won't know for sure if it will work for quite some time. I feel so bad for him. I wear contacts and can't see much of anything without them. I can't imagine if somebody took them away, and then covered one eye and made me stay that way for 12 hours. I just pray that this works and he adjusts quickly. So today, I'm thankful that he's healthy and well, and that its not something more serious. If the worst is that he'll never be able to see correctly out of one eye, I can handle that. There are so many people out there dealing with horrible, life threatening conditions in their children, that I feel truly blessed that this was something non-life threatening and maybe, just maybe its correctable. Praise be to God! On a lighter note, check out this caterpillar that the kids found on our sidewalk. Can you say bad hair day! Oh, and here's something I bet you've never seen before. If I hadn't seen this happen, I never would have guessed what it was. Can you figure it out? Yep, that's 100% genuine caterpillar poop! You saw it here first!! Now to just figure out what kind of critter he is. So, keep Ryan in your prayers and be sure to leave me a comment to let me know what you're family is thankful for. 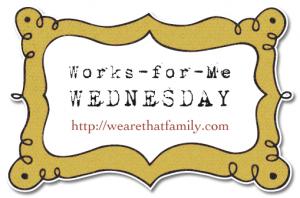 Works for Me Wednesday - Blog facelifts! If you've visited with us before, you may have notice that we've just undergone a face lift. I'm simply amazed at the wonderful blog backgrounds that are available for those of us (like myself) who are completely blog design challenged. Two of my favorites that are absolutely free, and very simple to install are Shabby Blogs, and The Cutest Blog on the Block. Both of these blogs offers tons of free backgrounds, as well as headers, buttons and blinkies. You're sure to find something you like! So, cute graphics that are simple to use and install, and best of all are totally FREE! This really works for me! 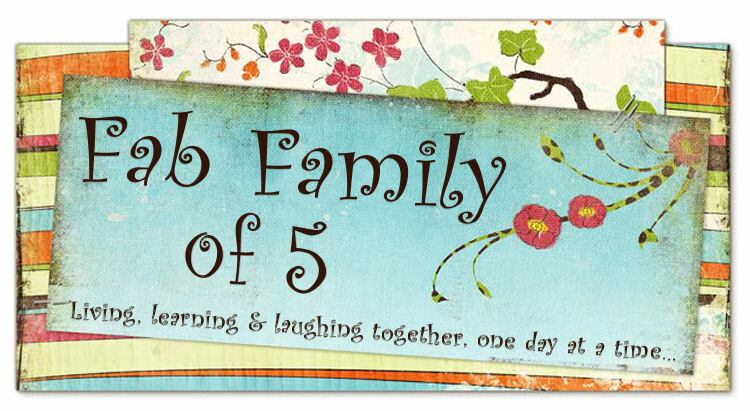 For more great Works for Me Wednesday posts, be sure to stop by We Are That Family. Have I confused you yet? Yes, I 'm homeschooler, but this was simply too funny not to share. I have no idea who originally composed this list, in fact, the place I found it long ago had no idea of its origination either, so I'm assuming they won't mind if I share it with you. 1. Most parents were educated in the under funded public school system, and so are not smart enough to homeschool their own children. 2. Children who receive one-on-one homeschooling will learn more than others, giving them an unfair advantage in the marketplace. This is undemocratic. 3. How can children learn to defend themselves unless they have to fight off bullies on a daily basis? 4. Ridicule from other children is important to the socialization process. 5. Children in public schools can get more practice "Just Saying No" to drugs, cigarettes and alcohol. 6. Fluorescent lighting may have significant health benefits. 7. Publicly asking permission to go to the bathroom teaches young people their place in society. 8. The fashion industry depends upon the peer pressure that only public schools can generate. 9. Public schools foster cultural literacy, passing on important traditions like the singing of "Jingle Bells, Batman smells, Robin laid an egg..."
10. Homeschooled children may not learn important office career skills, like how to sit still for six hours straight. Gee whiz, maybe we homeschooling families should re-think this!! If you're not a homeschool family and you read this...I'll just go ahead and apologize in advance. 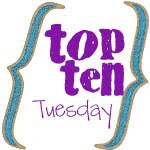 LOL For more great Top 10 Tuesday posts, be sure to stop by Oh Amanda's blog. Until next time, happy homeschooling!! Need I say more? Its raining here and has been since yesterday. Don't get me wrong, we really need the rain but...I could go for a little sunshine right now. I woke up this morning with a migraine that just won't go away. My kids have complained about each and every thing we've done today with the exception of breakfast and lunch. My house is a mess, and I have no time to clean it. There...I feel better. Venting always makes me feel better. Does that work for you too? So, we have a super busy week scheduled. Today we're still in the process of doing our school work, then we have Haley's choir class, followed by a quick dinner and then play rehearsal for hubby and I tonight. The boys are supposed to have a cub scout meeting, but since I can't be in two places at once, they're going to have to miss it. Tuesday we have school in the morning, followed by a field trip to a local Coca Cola bottling plant. Then its another quick dinner and off to play practice again. Haley is supposed to have a Girl Scout meeting, but not sure if she can go. I really need to look into cloning! Wednesday we have an appointment at the crack of dawn (literally) for Ryan with a pediatric opthamalogist to hopefully find out what's going on with his vision. Then we'll be home for schoolwork and dinner with my husband's grandmother. Thursday we have yet another field trip to see a puppet show of The Little Mermaid, along with schoolwork, another quick dinner and back to play practice (why did we agree to do this again?). Friday we have schoolwork then wrapping up our week with my homeschool group at our weekly park date. This week we're heading up to a park on top of one of the local mountains. Its supposed to be a really nice park but we've never been. Friday night daddy will come home earlier and cook dinner (my hubby aka The Grillmaster). Then we'll have a family night either watching a movie or playing a game. Saturday we'll be busy with household chores both in and out, preparing our Sunday school lesson for the next morning, making sure everyone has clean clothes to wear, etc. So, note to self...stop scheduling so many activities so you have time to clean the house. Also, look into that cloning business. Maybe I can clone myself twice so I have someone to stay home and clean while we're out and about with all our various activities. Now we're talking!!! What does your week look like? Whoever said that weekends were for relaxing, hasn't been around my house lately! Saturday, the boy's Cub Scout troop had a fishing derby at a supposedly stocked pond. My husband and the twins headed off bright and early expecting to catch lots of fish...no such luck. My husband didn't think that any of the several hundred scouts attending caught any fish at all. They ended up weighing some of the few turtles that were caught in order to award prizes. My boys ended up with just the patch for attending and nothing more. Adam with one of the many fish he caught and released. Ryan made daddy hold his fish. Great blue heron print in the mud. Dragonfly eating some sort of insect. Giant dragonfly that was apparently dying. He let us hold him forever and then eventually died. We couldn't find anything wrong with him so I'm thinking it was maybe old age? We took him home for further study. Ryan made friends with a fuzzy catterpillar. Red tailed hawk that lives near the pond. We had a great day, caught lots of fish, saw all kinds of critters, got nice and dirty and slept really good last night! Its amazing how many different types of bugs and animals make the pond their home. I don't think I've ever seen so many different types of spiders. We had a friendly water turtle that followed us around for a time too. Glen managed to catch a HUGE catfish at one point. Just as he got it to shore the line broke! It was a monster fish! Luckily I saw it too so I can back up his story. The funny thing was that the line broke with the little orange bobber attached. So here's this huge fish swimming all over the pond with the line and bobber floating around behind him. We knew where he was the whole time. We tried and tried to catch him again, but no luck. The bobber eventually came loose and we weren't able to see where he was anymore. Bummer! Week in Review - Wow what a week! We had such a busy week around here. For some reason I have totally gotten out of my groove in homeschooling. I think its having so many activities going on in the afternoons. I'm one of those people that likes to take it easy in the mornings and start school later. Well, I have all of the these grand plans about what I want to cover, but it seems that we keep running out of time. Maybe I'm actually going to have to start earlier. Bummer! Monday we worked on our Explorers unit study from Homeschool in the Woods. We read about why people in those days went exploring, we smelled all kinds of spices (which I missed getting pictures of because my battery died), studied our globe and routes taken, and colored maps of the continents and oceans. Tuesday Haley had her American Girl Book Club meeting at a local park. She had fun discussing Book 2 in Kit's series, and making her own daily newspaper. This is such a great way to get the kids reading and excited about the books. Great big thanks go out to Ginger who put all this together. While Haley was having her book club meeting, the boys and I hung out on the playground. This turned into an impromptu lesson on static electricity. Check out Adam's hair after going down the slide! Off the slide...no static electricity. On the slide, major static electricity. The most terrifying exciting thing that happened this week is that Wednesday I found out that I will be playing the part of the mother in A Christmas Story at our local theater. Considering that the only acting I've done up until now is running across a stage pretending to put out fires and be terrified of an invisible dragon in The Hobbit, this is quite a stretch. Please keep me in your prayers as I will need all of the praying I can get!. Thursday was our monthly nature club meeting. We visited a local pond and learned all about creatures that live in or around a pond. The kids all did such a great job! After our informal presentation time, we fed the ducks and geese. Adam was even able to get a wild Canadian Goose to eat bread right out of his hand. Today we wrapped up our school week at a local park. Although its still a bit hot here, it was so nice to sit and visit with all the other moms. The kids had a great time running and playing with all their friends. What I really enjoy is spending time with some of the homeschool moms that have kids in highschool. So many times its just those of us with the younger kids that get together. This time we had kids of all ages, and some of the long time homeschool moms. It was a great way to end our week. How was your week? For more Weekly Wrap Up posts, head over to Weird Unsocialized Homeschoolers. Well, yesterday was the first official day of fall. It sure didn't feel like fall around here though. Nothing like a little 95 degree heat to make you think fall! I don't know about you, but I am so ready for those wonderful cool, crisp autumn days. Falling leaves, colorful foliage, baking, long walks in the woods... Fall is my most favorite time of the year. My kids are busy thinking about the huge leaf piles daddy will make from all the leaves that fall into our back yard. They love jumping in them and burying themselves under them. They're planning out their Halloween costumes and already thinking about what they want for Christmas. 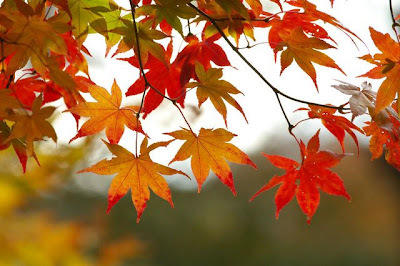 The seasons of the year bring wonderful changes to the temperatures, the trees, and everything around us. I feel like the seasons affect my moods a bit too. Summer days tend to make me lazy, spring gives me hope, fall makes me feel warm and cozy, and winter tends to be a bit dreary. The earth has its seasons, but so do we as homeschoolers. I think one of the hardest things for a new homeschooler to do is trust in themselves and relax. I speak from experience as one of those moms who dreamed of homeschooling, tried it out, and quickly threw in the towel. Nobody told me how truly hard it is! I stressed over each and every detail. Was she learning enough, were we covering everything, doing enough, and so many other things. I'm sure we've all been there. I'm just lucky that I was able to go back to homeschooling. At that point, it was totally different. Things always seem to be greener on the other side of the fence. I thought putting my daughter in school was the answer. Obviously, it wasn't. Now, having been on both sides of the proverbial fence, I have a unique perspective. Both are hard and neither is perfect. If we have a bad day, or even a bad week, I simply remind myself that I have 365 days to complete those 180 days of required instruction. That never fails to put everything back into perspective. So, don't stress and don't worry. Find a homeschooling mom who's been there and talk to her. We all have bad days. 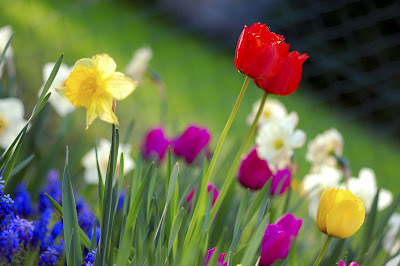 When the season of your homeschool get tough or stressful, keep in mind that spring will come and you will once again feel energized and renewed. As homeschoolers, we're all aware of the ever popular socialization issue. That has got to be the number one question asked by non-homeschooling people. Little do they know that our kids get plenty of socialization. One of the ways that my family makes sure my kids are "socialized" properly is to have regular park dates with others in my homeschool group. We meet at an area park each Friday afternoon for an unstructured playdate. Kids of all ages come and play, or simply hang out as the case may be. My kids get to see their friends each week and play for several hours. I don't have to clean my house just so that the kids can mess it up again. The kids are building lasting friendships with the children they play with regularly. I get time to relax and chat with other homeschooling moms and build some friendships of my own. Our group used to have organized PE each week. When this program ended so many of us missed the social aspect of it. The parents of older children have told me that PE is where the kids met the children that ultimately became close and lasting friends. Without this, my kids weren't able to get to know children well enough to become close. So, I started a park date. Its very simple to do, requires very little planning, and is a win/win situation. Everyone is happy! We had a planning meeting, discussed possible locations to visit, scheduled the first couple of months, and signed up several moms to help out with planning. During the winter months we will also add in field trips and indoor activities when the weather is too cold to go to a park. Our park dates are called Freaky Fridays and they really work for me! To see more great Work for Me Wednesday posts go to We are THAT Family. Teacher File Box. You can find a worksheet, lesson plan or project for just about anything and everything you could possibly imagine. Rainbow Resource Center. They carry everything and anything to do with homeschooling. The prices are also very reasonable. You can shop online, at your local curriculum fair, or have them ship you their massive catalog. Pandia Press. These are the people that bring you History Odyssey and R.E.A.L. Science Odyssey. They offer try before you downloads on most all of their products. Its a great way to try out some of these awesome products. Homeschool Creations. This is a blog where she shares teaching tips and ideas. I absolutely love her worksheets and printables! We use tons of them for our geography studies. Currclick. This is an e-book/instant download meca. They carry books on just about every subject from hundreds of suppliers. You can browse the titles, and then instantly download your product. Donna Young's Website. If your looking for homeschooling help of any kind, be it a form, a worksheet, or something else all together, you'll most likely find it here. Weird Unsocialized Homeschoolers. This was the blog that inspired me to start my blog. She posts reviews of products, homeschooling ideas and so much more. McKays Used Books. This is my local used book store. I could literally spend years browsing through all of the homeschool curriculum that they carry. You never know what your going to find. My local library. If you're not already using this resource, you really should. What I especially like is that I have access to my entire state's library system. I can browse online and have books sent to my library. We go to the library just about weekly and always have tons of books checked out. Ebay. If you know what your looking for, Ebay can be an excellent source for used curriculum. Just be sure to read the seller's feedback and make sure you're buying from a reputable seller. I hope you've found some sites that you may like in my top ten list. For more great top ten lists visit Oh Amanda's blog and check out all the entries! My favorite things about homeschooling. Just for fun, and to give me a chance to reflect, I thought I would post some of my favorite things about homeschooling. These are in no particular order. I just typed them as they came to me. First, I would have to say flexibility. I am one of those people who absolutely HATE having a schedule. I truly resent having to always be someplace. I like being able to be spontaneous, or not, as the case may be. If my life gets too busy and over scheduled, I get grumpy. Next is one my husband says I should never tell people. Not having to get up early. I'm not really a morning person. I enjoy staying up later at night when the house is quite and all is calm. It gives me some much needed mommy time. If I had to get up at the crack of dawn every day, I would have to go to bed early and thereby miss that wonderful time of day. Its also nice for my children since Haley isn't much of a morning person either. Homeschooling allows my children the opportunity to enjoy spending time with daddy in the evenings. My hubby doesn't get home until late most days and he would just about miss the kids entirely if they had to go to bed early like most children. I just have to add in fun. Although I really didn't much care for school when I was there, I seriously enjoy it now. Learning alongside your children is a huge bonus for me. All those subjects that I thought were awful in school are now completely fascinating. I get so excited over new curriculum and teaching ideas. Getting a box of new curriculum feels like Christmas morning to me. Another huge bonus for me is the sheer joy you feel when you know that you successfully taught something to your child, when you overcome some huge hurdle in their learning. I cannot even begin to share how proud I am of my children for the things they have accomplished in their learning. Its gives me so much happiness to share the wonder of learning with them each and every day. The closeness and special relationships I am able to have with my children since we're together so much. There is no doubt in my mind that I would not know them and enjoy them as much if we were apart all day, every day. A huge bonus is being able to customize the lessons and methods of teaching to best fit your child. You get to find out what works best and use it. Homeschooling is like private tutoring at its very best. We can study anything and everything that we want when we want. My children are able to grow up protected from peer pressure, sheltered from some of the harsh realities of school. I'm personally glad that my kids are missing out on all of the drama. Kids can be cruel, and I see no harm in skipping that part for now. Let them figure out who they are and what they like without someone else telling them what they should or shouldn't do, wear, or be. Lastly, I would have to say freedom. The freedom to control the curriculum. Freedom to include bible study in our learning. Freedom to study music, art, Spanish, and any other extra curricular activity we choose. Freedom to go outside and study nature and our great big world in all its glory. Freedom to go on vacation whenever it suits us, rather than when there's a school break. Making this list of favorites was fun for me to think about all of the wonderful benefits. Trust me when I say that there are days when that yellow school bus looks really good. But, I know that homeschooling is the right choice for our family. What are some of your favorite things about homeschooling? Week in Review - Vegetating is good...right? Monday was a good day...Haley had her choir class, we got all of our school work completed, no major problems unless you count me falling off a curb, twisting my ankle, badly bruising my knee and embarrassing myself a problem. In our continuing study of Africa, specifically Egypt, we watched Mystery of the Sphinx and learned all about its origin, how long it took to make it and who might have made it. Very cool! Tuesday also went well. I managed to limp my way to the used book store and found lots of great curriculum to add to our ever growing collection. 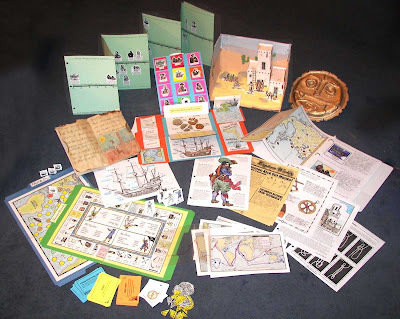 We also started our study of explorers using Homeschool in the Woods New World Explorers. We have a little over a month to study explorers before we get to visit a full size replica of the Nina. We're all super excited and I felt the unit study would make it more meaningful for us. Look at all the activities in this unit study. Examples of unit study projects. Wednesday started out fine, but ended with a bang. You can check out my post about that earlier this week. After my little trip to the emergency room, I wasn't feeling quite up to speed for the rest of the week. Thursday was spent vegetating in bed or on the couch with the kids. We read books about Ancient Egypt, watched some educational videos, and basically had a light school day since I wasn't feeling well. Friday after we finished our school work, we went to a local park that I'd never been to before. My homeschool group has a standing park date every Friday in the afternoon. Its a great opportunity for the kids to run off some energy with their friends, but its also a chance for us moms to visit and have some grown up time. Its a great way to end the week. 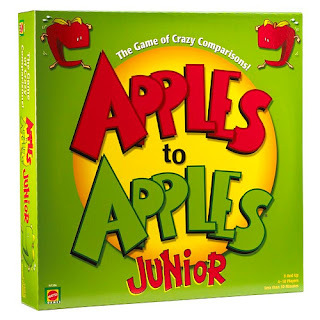 Later that evening, my hubby grilled hamburgers and we had a family game night playing Apples to Apples Junior. This game has quickly become a favorite. The kids really have fun arguing their point of view about why they think their card should win. If you've never tried it, I highly recommend it. Its great for reading and learning word meanings, but the kids have no idea its educational. Always a plus in my book! So, although we didn't get out much and didn't feel great, we still had a pretty good week, learned lots and found a great source for instant educational movies, Netflix. I had no idea they had so many educational films. We could literally spend days watching all of the IMAX movies! How was your week? You know how it is...you're cruising along and think all is well and BAM...speed bump. Well, this week was one of those for us. As you can tell from the recent posts on the blog, we were out of town the entire first week of the month. Now granted, we did lots of nature studies while at my parents' house, but we really didn't do any real school work. So, after a weekend of trying to unpack and do laundry, we jump right back into things this past Monday. Monday night I get a really bad nose bleed. It lasts for about 20 minutes, but does eventually stop. Same thing happens again late Tuesday afternoon. Wednesday, with no warning what so ever, my nose starts bleeding again. This time however, it won't stop. Now we're not talking about a gentle, slow nosebleed, we're talking about a gusher. After dealing with this for around two hours, and at the point where I start to feel faint, I decide its time to go to the emergency room. My husband is on the road from Atlanta, I have no other immediate family here, and all but one of my friends in the neighborhood are out of town. Thankfully, my next door neighbor was able to rush home and drive me to the ER and stay with me the entire time. Aren't friends great? I owe her big time! Talk about embarrassing! I'm 40 years old and have never, ever been to the ER for myself. First time I have to go, its for something crazy like a nosebleed. Anyway, after sitting there for a couple of hours, having lots of tests run, they finally got it to stop. No idea why it started, what's causing them or anything. I did get to go home with some sort of nose spray that is supposed to stop any further nose bleeds. Which ironically, is available at any pharmacy over the counter. Wish I'd known about that! I did find out that I'm healthy and according to their tests, there's absolutely nothing out of the ordinary. Go figure. If you have nosebleeds, I highly recommend trying NeoSynephrine. Works great! It constricts the blood vessels. Doesn't say that on the box, but that's what it does and it worked last night when my nose started bleeding again. I did learn a bit of interesting trivia while reading about nosebleeds online. Did you know that Attila the Hun died from a nosebleed? 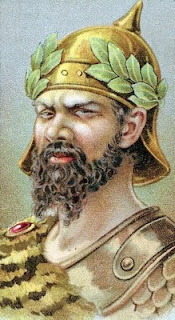 In 453 AD on the night of his wedding, he got a very heavy nosebleed and choked to death. Nice huh? Anyway, my point is that our school week hit a major speed bump this week because I felt so awful Thursday that we didn't accomplish much of anything. We did however watch lots of streaming videos from Netflix about Egypt, and one about birds, both of which we're studying. Maybe I should have looked for something on Attila the Hun? We also did some independent reading while taking it easy in bed. Who knew that a nosebleed could wipe a person out like that! I guess bleeding for 5 hours will do that. How's your week going? Better than mine I hope! A peek into our school room. I know that I personally enjoy seeing what other families use for their school rooms, or don't use as the case may be. So, I thought I would share what works for us as our school room. First, let me share some background information on how it came to be. We started out upstairs at the kitchen table, and this worked for several years. But unlike some of you, I only have the one table to eat on. We had to clean it and remove all the books and school work several times a day in order to use it for its actual purpose. When the boys reached school age, storage began to be a problem. We had two half size book shelves under the breakfast bar area of the dining room, and more stuff sitting on top of the bar. Considering that our house if very open and you can see the dining room almost as soon as you walk in the house, it wasn't the most attractive set up. After the 2009 curriculum fair, I purchased the supplies needed to have a set of workboxes for each of my 3 children. Unlike so many of you, I didn't consider tailoring the program to fit our space, but used it exactly as it was originally designed. So, imagine having a big table with 6 chairs, a china cabinet, two bookcases, and finally the three workbox shelves, and you can see the problem. Talk about cluttered! So, after working around the mess for several months, I started looking into a solution. I lucked into finding a furniture store just outside of Atlanta that had brand new school desks for sale. The price was super cheap, so we bought three of them and our school room started to become a reality. It took some rearranging, and there are still things in the room that I wish had another home. However, it allows us to have a space for school that can stay messy, and not be seen unless we wish it to be. Its located in what used to be our basement playroom. We have room for all the workboxes, lots of storage, desks all around, and walls to hang things on. We already had a chalkboard wall there, and the walls painted in fun colors, etc. In addition to the actual school room downstairs, we read upstairs on the couch, and perform science experiments in the kitchen or at the dining room table as well. Adam & Haley's desks, the right side of the room and the back wall. This is the left side of the room, Ryan's desk and workboxes. This is our magnetic white board for spelling. The door to the left goes into our junk guest room, and to the right is a storage closet and then the stairs leading upstairs. I'm skipping the front wall where you'll find my desk and the chalk board since my desk is a mess. I'll also spare you the area at the bottom of the stairs that you have to walk through to get to our school room. There you will find floor to ceiling book shelves crammed with books, games, scrapbooks, record albums and way more junk than we need. Beside that is our 29 gallon fish tank which sits right beside Ryan's desk and provides him with a great excuse to not do his school work. In the middle of this small area sits a giant foozeball table my husband just had to have. Yes, you heard me right, we have a foozeball table basically in our school room. Well, beside it anyway. To the right of the bookshelves you see in the first picture is our electronic keyboard which ended up on the schoolroom because there wasn't room for it anywhere else. So there it is in all its glory. Its not perfect, and its definetely not very neat and organized, but its ours and it works for us. Where do you do "school?" As you know if you read my blog, we are studying science using Apologia's Zoology 1, Flying Creatures of the Fifth Day. After learning about classification, and making a lapbook from the first lesson using Live and Learn Press's Apologia lapbooks, we moved on to the next section and have been learning about air pressure and lift. Today, we read from the text about how air pressure works with a birds wing to create lift. We then moved on to the fun part! I showed them how it was done first, then each of them got a chance to see air pressure and lift in action. I just love the looks on their faces! then Adam...check out the spray of water! and lastly...Ryan! By now my poor table is soaked, along with our book. Who knew they could blow water 4 feet away! Oh well, it will dry I suppose. Just for fun, I thought I would share some of the funny pictures I took during this project. Apparently, watching someone blow through a straw inspires you to blow too. I especially love Haley's expression after being sprayed in the face with water. This was a fun way for the kids to see air pressure in action. Also, my table got a nice water bath in the process. They can't wait to show daddy this new trick when he gets home. Hope your Monday was as fun as ours! Its that time again. Parish School of Religion classes are back in session. This year both of my boys are in our class. They are super excited about being able to participate in Communion after this year. We have a class of 28 students so far, and are bound to add several more over the next few weeks. Hopefully not many though since we're already 8 books short and are almost out of seats! Our class meets in the library in order to allow for the larger class, but we still may not have enough room. Keep my husband and I in your prayers so that this year goes well and we're able to teach these children all they need in order to receive their First Communion in May. I don't think any of us will ever forget that day as long we live. Today, on the 9th anniversary of that terrible morning, lets all take a few moments to remember those that lost their lives, and to pray for those they left behind. Week in Review - Home Sweet Home! We went, we had a nice relaxing visit, and now we're home. Its always fun to go on a trip, but nothing beats coming home to your own home, and especially, your own bed! We saw so many different varieties of birds. White ones, gray ones, brown ones and many more. The kids love to go swimming in my uncle's pool. We went on two different occasions this trip, and kids absolutely wore themselves out...so did Pop Pop! Our last morning was spent packing up, and Glen and Adam went fishing. Check out these monster fish they caught! Glen did catch an alligator gar which was really creepy. Another thing the boys always look forward to doing at grandma and pop pop's house is watching pop pop's trains run. My grandfather built this train set probably before I was born. It has replicas of the house they lived in while they lived in Berlin during the war, as well as the house my grandfather designed and built when they moved to the United States. Many of the trains are from Germany. My father has been restoring the train table over the past several years since he brought it home with him. We had such a nice time, but its good to be home. I missed my kitty Anabelle! Now I have to face reality and tackle a mountain of laundry and all the unpacking. How was your week? To see what other families have been up to this past week, check out the Week in Review post at Weird Unsocialized Homeschoolers.